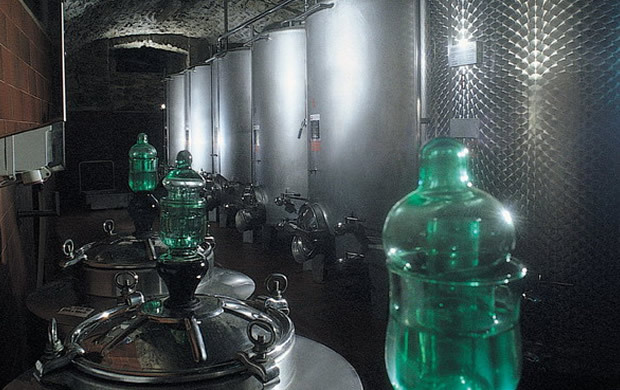 The soul of Capannelle, which overlooks Gaiole in Chianti from the top of the hill, is 3 meters below the ground, where a 1000 mq cellar guards the wine production. Wine is a product resulting from a technical process. Thus, to make a great wine is necessary to use high technology – along with perfect grapes. This is the reason why we at Capannelle have decided to use steel vat during the fermentation, since this material is neutral and does not modify wine aromas. Fermentation vats are made of inox steel, like all the other vats and level valve connection pipes. After a long barrel ageing, wines require also a long bottle ageing in order to balance body components and aromas. Sangiovese in particular needs 8-10 years to become ripe enough. 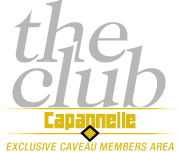 After ageing in oak barrels of different size, Capannelle wines are aged as well in bottle before being released on the market. 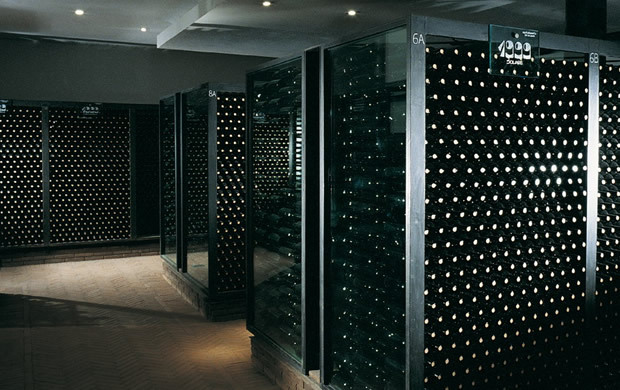 Bottle ageing is carried out in Capannelle cellar where rows of bottles lie down, accurately separated by double crystal walls according to the kind of wine and vintage. The temperature and humidity of the storage room are constantly controlled in order to guarantee the best quality in wine. 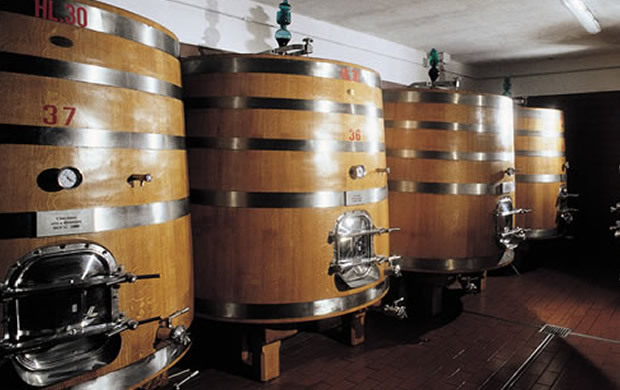 We have decided to use Slavonian oak conical trunk vat of different sizes and French oak barrel of 225 litres each. Our barrique are used for maximum 3 years and are used to age Solare, 50&50 and our Chardonnay.